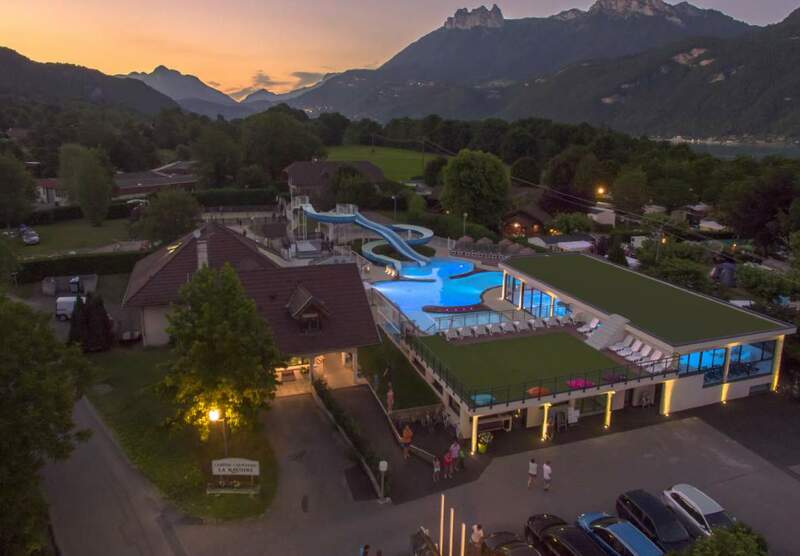 Set amongst the mountains and on the shores of Lake Annecy, Camping La Ravoire is a real paradise for lovers of outdoor sports. There are numerous hiking trails to walk, run and mountain bike over and you can find something to suit all ages and abilities. 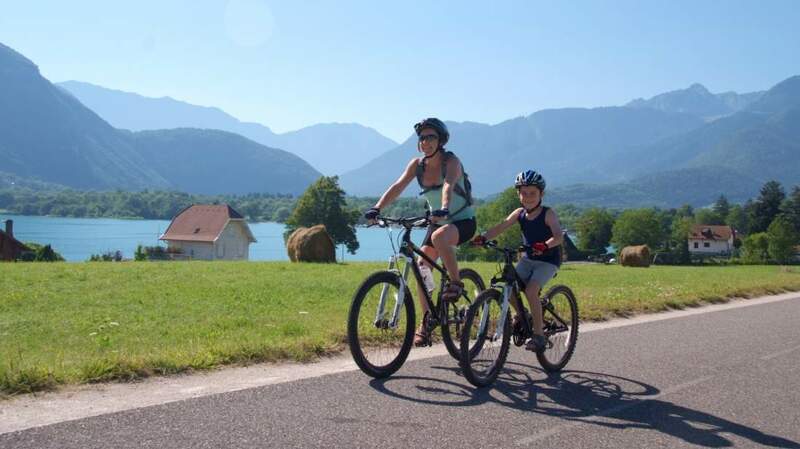 The fabulous cycle path that runs at the rear of the campsite, takes you to Annecy (17km), while cycling enthusiasts can ride the other way to complete the famous Col De La Forclaz route. 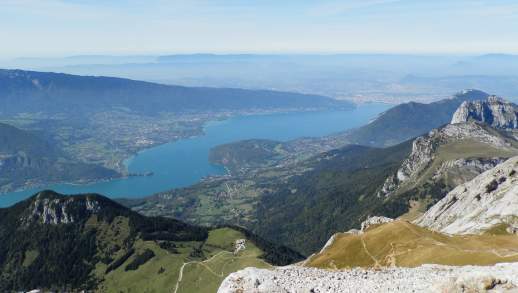 For water sports lovers, there are endless activities to enjoy on Lake Annecy including Windsurfing, Kayaking, Stand Up paddle Boarding, Kite surfing and Water-skiing. Meanwhile, for adrenaline junkies, the Alpine rivers offer the opportunity to have a go at white water sports such as canyoning and rafting and the mountains offer the once in a lifetime chance of having a go at paragliding or hang-gliding.. Guaranteed to get your heart rate pulsing! In addition to the outdoor and indoor swimming pool and its water slides, we have a playground including our popular bouncy castle for your children to enjoy and a multi sports terrain pitch where children and adults alike can play football and basketball on. There is also a Pétanque area where you can try your hand at the traditional French game of Pétanque! In high season, when the sun sets behind the mountains, families and friends gather on the La Ravoire bar terrace to enjoy a music concert every Wednesday evening. As well as weekly concert nights, we also run a small, free entertainment programme during the weeks of the high season, these include a very popular taster diving session, face painting, Scaletrix, a fire show, magic shows etc. Please note that our entertainment ends around 10pm to ensure all our guests of a restful night’s sleep. 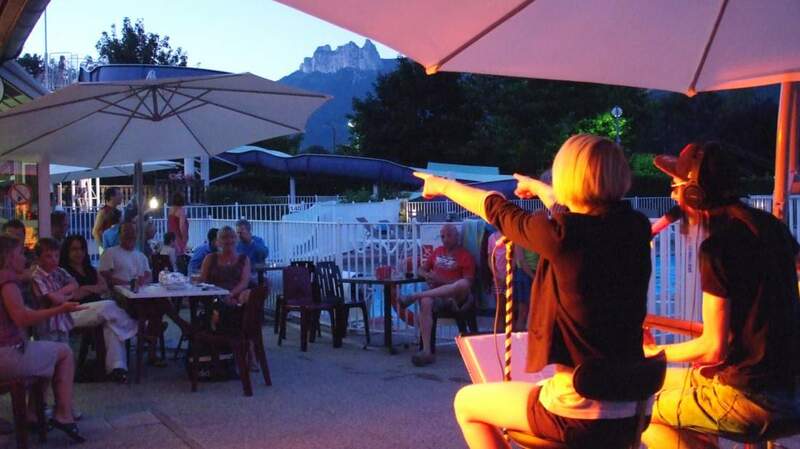 We do not offer a children's club and if you are looking for karaoke and dancing, then it is with regret that our small family friendly campsite is not for you!